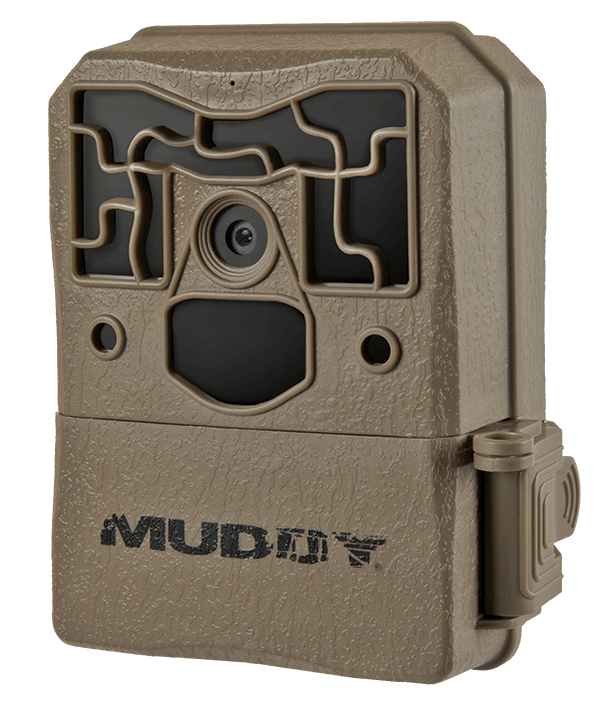 The Muddy hunting product line has now expanded into the world of game cameras. The Muddy Pro Cam 20 and Pro Cam 14 trail cameras now offer another key product to hunters. These trail cameras are loaded with specific application based features that other cameras do not offer, features that have now been known by hunters to offer more intel than any other game camera has before. This is the best camera on the market. I love the how it blends into the surroundings. It captures great pictures and is easy to set up. THE ONLY TRAIL CAMERA WE WILL USE! Definitely a great camera that takes great videos and pictures! Over 10,000 pics on a set of batteries! GREAT QUALITY at a GREAT VALUE! We will NOT use anything but the Muddy Pro Cam 12! AMAZING QUALITY, PICTURES, AND AFFORDABLE! Like stated above this camera compares to a $250 dollar camera at half the price! I have amazing pictures and see everything! This camera is a must have! I love the fast trigger speed nothing gets by it!I would suggest not having it on the 8 round burst because when I had it on that setting I had over 4,000 pictures in two days.But I love how you can easily change the settings on it.The best camera I’ve ever used. This camera is very easy to set up takes great daylight and nighttime pictures it’s very small and compact and seems very well-built I’ve only had mine for a week but I am very impressed with this no one else makes a camera with this much quality at this lower price. The only issue I had was the strap buckle is hard to get completely tight but it seems to work fine it could possibly be a user error. The Pro Cam 12 blew me away! There’s not another camera on the market for the price and top of the line quality that you can even compare it to! I’m selling all my other brands of cameras and using just the Pro Cam 12s this fall! Make sure you remember where you put them, they disappear on the tree….. no joke! The Muddy Pro-Cam 20 trail cameras are loaded with features, 20 Megapixels of clarity and 1280 HD video with sound. The backlit LCD screen makes this trail camera settings easy to see and navigate any time of day. Muddy’s Pro-Cam 20’s also run off of 6 AA battery this should give you about 10,000 Images. You also have the option to run a 12V alternate power source. Utilizing 36 infrared LEDs the flash projects light for over 70 feet. The body of this trail camera is made from a non-reflective molded ABS waterproof housing that can resist temperature as low as -10°F and up to 140°F. The Pro Cam 14 is the second trail camera in Muddy Outdoors’ new game camera line up. This economical value of a trail camera features 14 megapixel images and invisible flash. The Pro cam 14 trail camera runs off of 6 AA batteries which lasts for 10,000 images and offers a 1.5 second trigger speed with a 50 ft detection range. This camera offers all the bells and whistles of a solid trail camera with a better price for hunters. The body of this trail camera is made from a non-reflective molded ABS waterproof housing that can resist temperature as low as -10°F and up to 140°F.